50% of the total amount must be pay in order to confirm the booking. Our hostel is located in an iconic Taupo building, slap bang in the centre of town. We are opposite the bus station and I-site and one block back from the Lake. The massive outdoor sun deck has views out over the park and of course the world famous Lake Taupo itself. Take advantage of our barbie, grab your mates and enjoy some sundowners looking out out across the Lake. We have en-suite double and twin rooms as well as en-suite dorms and dorms with shared facilities. 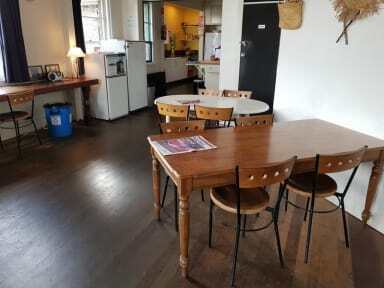 There is a large communal kitchen and free WIFI throughout the hostel. With bed prices starting from $18, we are the best value and best located hostel in town. We have a booking office and access to the best rates for all the most do activities in the region.